This is the ultimate summer Stonehenge experience! 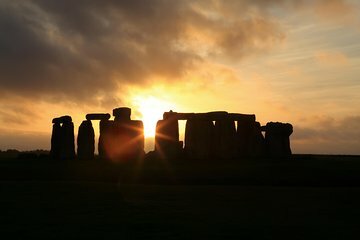 Only during a solstice can you see the pagan rituals taking place around the stones. There’s also the bonus of a meal in one of Lacock’s historical pubs if you book the sunset viewing. This was an absolutely wonderful tour - the highlight of our trip to London! The ability to visit Avesbury first and learn about henges proved a truly helpful approach. Learning about "lay lines" (the magnetic lines in the earth) increased our understanding and awe of why these circles were built. Lacock was interesting - a quintessential English village - especially for Harry Potter fans! Stonehenge itself was amazing and to be able to enter the circle and touch the stones a once in a lifetime experience. We were able to talk with Druids and Pagans and witness their celebrations as well as getting fantastic pictures of the sunset. The crowd was large but extremely well mannered - we were very impressed! The only negative was the distance we had to walk to actually get to the henge. From where our bus was parked it took 40 minutes over fairly rough terrain to reach the stones. We would have appreciated a "heads up" regarding this as it would have made a difference in choice of shoes! Also, we were warned repeatedly to be back by 10:00 P.M. or the bus would leave without us as it had a "window" of time to depart. This was barely 30 minutes after sunset and the long walk was problematic! In spite of this, we would do it again!